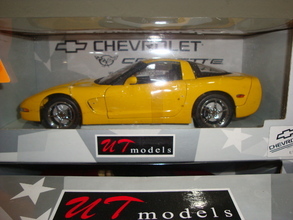 Corvette C5 Coupe Yellow 1/18th Scale by UT Models, $299.99 at Modena Motors Inc.
Long discontinued and only 3000 made. Likely the last few available so don't hesitate. While Quantities last!! !